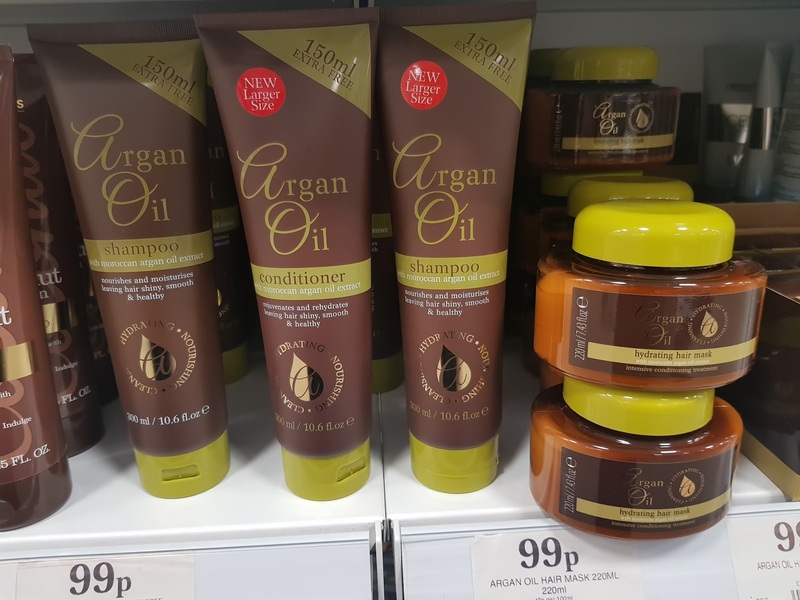 I use to hear about this range a lot and never got round purchasing or trying it. 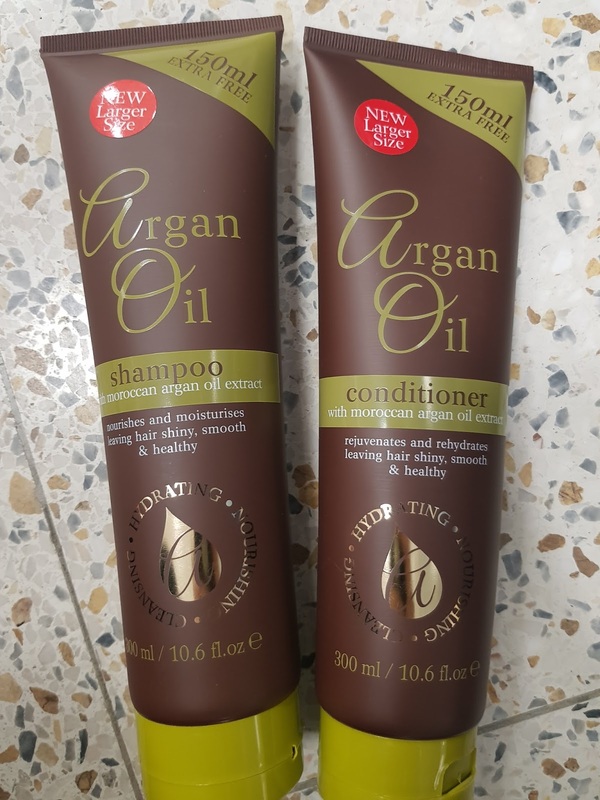 These are suppose to be very good quality hair products as it contains Moroccan Oil and extracts which help and sooth dry damaged hair. I saw the price and thought 'This can't be right' The whole range is 99p. Now that is cheap. Anyone can buy them :) Super affordable, you can buy the whole range lol. 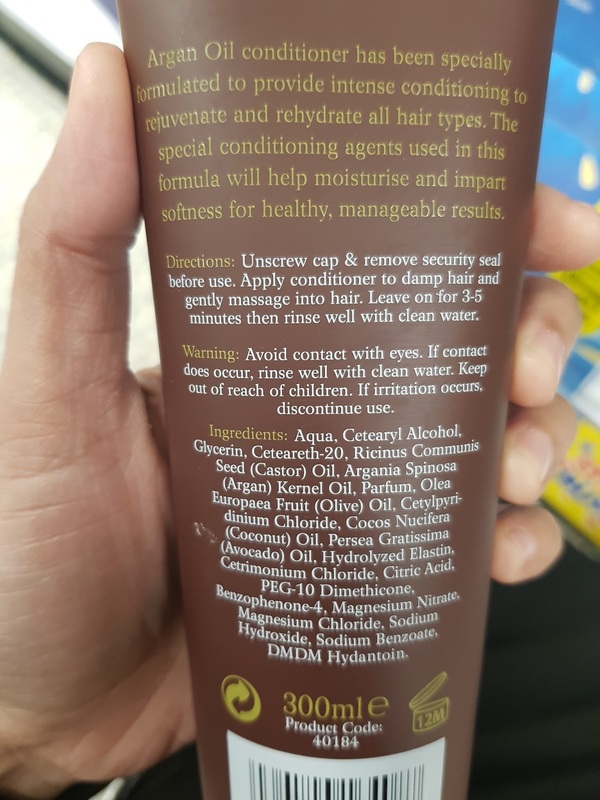 The shampoo and conditioner has 150ml extra so got a 300ml bottle of each. I have bought the Shampoo and Conditioner to try out. I've replaced it with my normal Head and Shoulders shampoo. The shampoo nourishes and moisturises hair leaving it shiny smooth and healthy. The conditioner rejuvenates and rehydrates leaving the hair again shiny smooth and healthy. Well the hair is left super shiny and smooth and looks healthy that's for sure. Love the light fragrance that it leave on the hair too. Simple way to use both products. While in shower or bath. Wash hair with shampoo first. Rinse thoroughly with warm water. Then apply conditioner, massage it into hair to the roots. Leave into hair for 3-5mintutes. Then rinse with warm water. 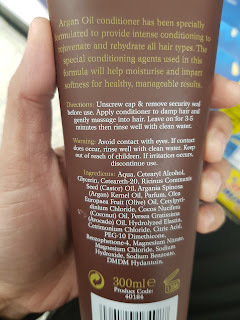 Honestly leaves hair feeling amazing. Bought this brand from Home Bargain, I believe they have these in many other stores which is easy to get hold of. This brand also has a hair mask which I will be testing out very soon.